DEFOREST - Betty J. 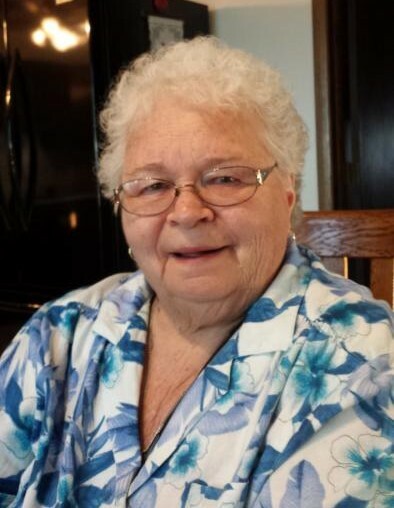 (Larson) Karow, age 86, passed away on Monday, March 18, 2019 at Agrace Hospice. She was born on April 24, 1932 to Oliver and Eva Larson and grew up in Token Creek, Wi. Betty was married to Doug for 60 years. They raised their family on a farm in Windsor, while working at Oscar Mayer for nearly 35 years. Betty enjoyed the fun times with the DeForest Snowmobile Club later slowing it down watching her cats, feeding the birds, and especially spending time with her family and grandkids. Betty is survived by her four children; Linda (Steve) Link, Larry (Marcia) Karow, Rosemary (Dan) Lockman, Jane (Mark) Weisman; seven grandchildren; eleven great-grandchildren. She was preceded in death her husband, Doug; infant son, David; and siblings. A funeral service will be held at 11AM on Saturday, March 23, 2019 at MORAVIAN CHURCH, 805 East Holum Street, DeForest. A visitation will be held from 9AM until time of the service on Saturday at the church.